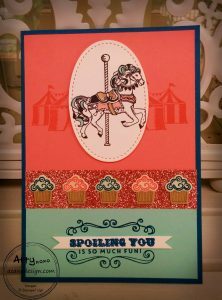 This circus themed stamp set features a carousel horse, cupcake ferris wheel, big top tent and classic, fairground inspired text – perfect for creating projects that are full of fun! I mentioned before that this set is my favourite from the Occasions Catalogue along with the Lift Me Up bundle, because they all actually coordinate. 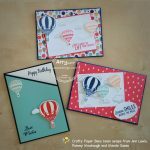 The Lift Me Up stamp set contains a cupcake with coordinating dies in the Up & Away Thinlits that match perfectly with the cupcake ferris wheel in the Carousel Birthday stamp set. These are the little cupcakes I used to decorate my “Spoiling You” card above, which was a swap card I did for the Paper Angels. There were so many different little elements to this card, but I do feel that the card lives up to it’s sentiment because the end result is full of such fun and whimsy that anyone receiving it will truly feel spoilt. I also used Carousel Birthday for my OnStage Live swaps, which I’ve taken all the way to Amsterdam with me. Similar to my team swap previously, I used the Enjoy sentiment from Suite Sentiments​ because this is definitely what OnStage is all about: Enjoy life and have fun! 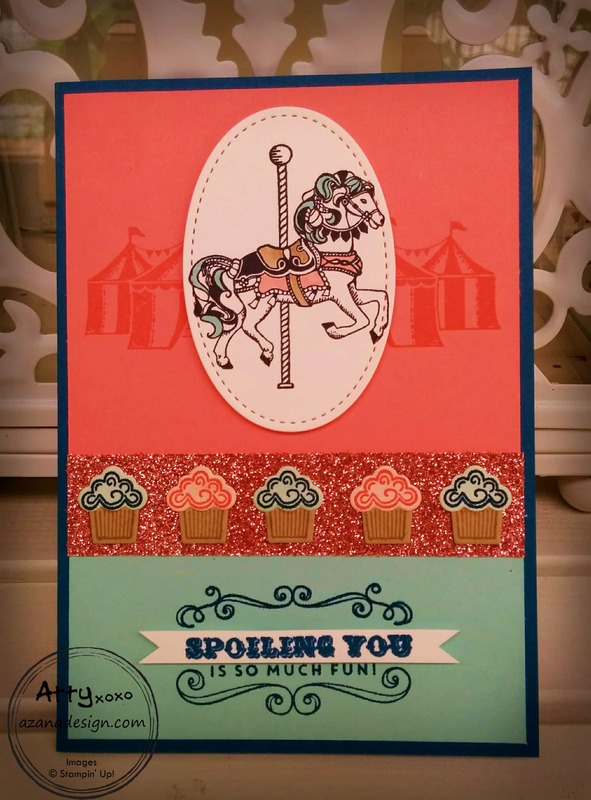 I used two different sets of DSP for these: the coordinating Cupcakes & Carousels DSP stack and the Tasty Treats specialty DSP – because ice creams and sprinkles perfectly fit in with fun at the fair! I also added a balloon floating off into the sky in front of the ferris wheel. 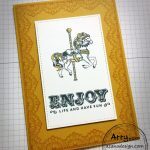 This is from the Birthday Bright stamp set. The balloon was stamped first, then masked with a post-it before stamping the ferris wheel. 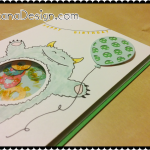 The balloon layer also uses one of the square Stitched Shapes Framelits which has been made into a rectangle using the partial die cutting technique. I made a lot of these swaps​, around 70. Plus I also have a stash of 24 monster treat boxes to swap – I have another post on these coming up soon. 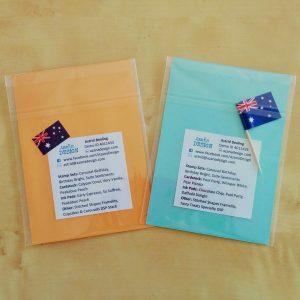 I’m so excited to see what swaps I get in return!